The responsibility of leaders is to enhance, harness and direct the capacity and energy of their people toward virtuous and valuable ends. To achieve long-term success, the organization needs to have a solid foundation built on principles and values that act as a center of gravity. In business, you get what you target, design, measure, provide incentives for and are passionate about. This applies equally to principles and values, which need to be nurtured and directed through an effective whole-system approach and values-management framework. This is exactly what Building a Values-Driven Organization provides. Author Richard Barrett shows how business is learning to develop a more integral or holistic approach to organizational evolution. 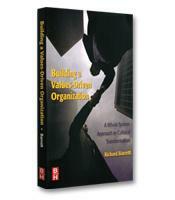 How to build a values-driven organization. How the process of values management can be used to support continuous improvements in organizational performance and develop long-term sustainability. How new leaders can become new agents of change. How leadership can become the key to cultural transformation. A blueprint for whole-system change.